Colour is one of the most interesting elements to manipulate in the work of design. In residential design colour is for the most part controlled by personal taste which makes perfect sense. Your house is your private environment where you want to feel homely and safe. In public spaces, colour can be more of a tool to create spatial experiences and to direct people unconsciously through a space. My interest in colour intensified when I worked on my graduation project in the Netherlands. I discovered the friction that exists between colour being very beneficial but also at times distracting. In public spaces in particular colour can be used to make spaces more practical for the users instead of counterproductive. Colour in spaces where different people come together requires well-considered choices instead of being driven by trends or personal taste. The origin of colour is worth a blog on its own. For now we are more interested in how to improve interior design schemes in general and to give our mantra of 'making work live' more meaning. We must consider that we are talking about colour from a spatial point of view and not in the way it is used in other visual exploits like artwork and branding. For example the colour red in Leonardo Da Vinci’s fresco of the ‘Last Supper’ represents the symbolic meaning of the human part of Jesus Christ but red is also used for the branding of McDonalds to make us hungry and want to buy more food. Remember as well that the meaning of colours and the psychological effects of colours are highly affected by the culture of the environment in which they are seen. Whereas in Western culture white is the most used colour for weddings, in other parts of the world it is related to death. And even though white and black are theoretically not colours, this example shows the cultural differences in colour usage around the world. Although the way we observe colours is often affected by personal experiences, preferences, and trends, there are some general facts about colour and the way we all experience them. Research shows there are factors that are proven to be influential to all people. This needs consideration when working on projects for offices, hospitals, universities etc. The circle of colours can be cut in 2. On the left hand side we are talking about the ‘warm’ colours. On the right hand side we’re talking about the ‘cold’ colours. You could say the right side is representing the ‘Calm and Rest’ whereas the left side represents the ‘Power, Passion and Energy’. 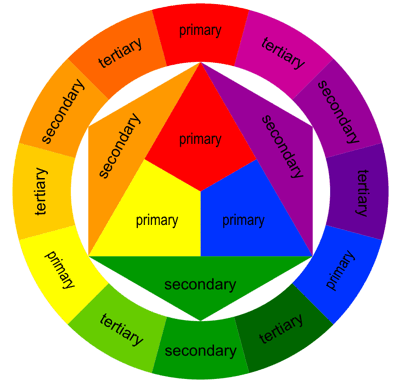 The centre of the colour circle starts with the three primary colours: Red, Yellow and Blue. When two of the primary colours merge there is a secondary colour. For example Yellow and Blue together becomes the secondary colour Green. One step further shows the circle of tertiary colours. Although this may be basic information and quite obvious, it helps to understand the way colours can complement each other. Yellow: Is bright and sparkling. Yellow could stimulate the productivity and brains. Red: Red is all about passion, boldness, and intimacy. Green: Green represents nature and can stimulate relaxing, calm and balanced. Grey: is natural and timeless. To me, the impact of colours is as strong as the impact of design classics. The original design of a well-known furniture piece has a lot of impact. However, the more copies of the original that are made, the lower the quality will be. For me, the colours in the colour circle work in the same way. The 3 Primary colours have the most impact. The further you go away from the original colours the less impactful it will be. There are exceptions to this rule but broadly speaking this is the case. For one of our clients I have been working on a listed building where we wanted to use colour to enhance the design. In the sketch visual we have used colours in the different rooms to improve the purpose of the space. For example, in the offices we have used the colour yellow as it’s a place where people work individually. The colour yellow will affect their mind and work-speed in a positive way. In the meeting room we have used the colour blue. In this space a lot of meetings and classes take place so there will be lots of conversations and discussions. The addition of yellow would be too much as the people in the space won’t need this vibrant colour addition. Instead the colour should be more calming to balance the vibrancy of the discussions and classes. That’s why we have used the colour blue as a feature in this room. There is a lot to talk and write about colour and the potential psychological effects of it. It is a subject that is difficult to put in the format of a short blog piece. My main aim with this blog was to point out the importance of colour and the ways in which it can be used. I know not everyone will agree on this colour-vision but I think colour is very often misunderstood. Even though I think [interior] architects and designers have the responsibility to use colour with the well-being of the future users in mind, we obviously see that many choices are based on personal preferences or even worse, on cheap interior trends which are highly influenced by money and commercial benefits. Personally, from an [interior] architecture point of view I feel the need to create spaces that work for the future users longer than only one season.  It’s about giving depth to your design work and caring about the well-being of your clients. This means colour should be considered in every single project rather than seen as a decorative part of design. These well considered design choices will increase the impact and save the design from becoming outdated.